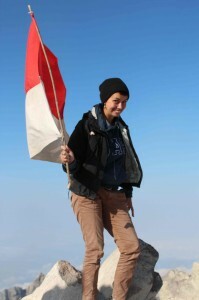 Sarah Watt is in the 4th year of her BA South East Asian Studies (with a year abroad). As a student of both Indonesian and Burmese she chose the best of both worlds during her year abroad, spending one semester in Yogyakarta and one semester in Yangon. I was told it would be the most memorable, unique year of my life. It probably was. As part of my degree in BA Southeast Asian Studies I opted to spend a year in the region. As I study both Burmese and Indonesian language, I had the exciting chance to spend half a year in each country. I first went to Indonesia where I attended the ACICIS study abroad programme. In Myanmar my time was a lot more fluid and, as long as I got my hours of language learning in, I could shape it however I liked. This gave my year a great variety with many highlights, so here are just a few. Having crazy adventures. My 21st birthday wasn’t long after I arrived in Indonesia and I wanted to do something that I couldn’t do back home. So, we climbed Indonesia’s most active volcano! It was bonding time with a small group made up of Indonesians and a couple of other international students from my programme. Other adventures included snorkelling with an ex-pirate, swimming with sharks, and accidentally climbing a mountain. Having my own motorbike. Out of me and my four brothers, I never thought I’d be the one riding a motorbike around the crazy hectic streets of Yogyakarta. I got my provisional motorbike licence in the UK so I was fully insured, but most of what they teach you in the UK doesn’t really apply in Indonesia (apparently riding on the pavement isn’t acceptable in the UK, even if the streets are full of traffic). Initially I was completely terrified and got lost many times. But once I was confident on the roads it was the best thing ever. I had so much freedom and it was so cheap! There were many days out, weekend beach trips and mini adventures around the city. It’s a great example of doing things that I would never have considered previously, and getting to the point of really enjoying that new part of my life. Making friends. I had two choices – I could either spend my year being lonely and constantly skyping friends and family back in the UK (although skype is amazing! ), or I could embrace where I was and the people around me. I made some incredible friends who really carried me in some of the difficult times during my year abroad. These friends were a mixture of locals and other internationals who brought me chocolate, joined me for many meals, took me for days out, corrected my language, helped with my homework, laughed with and at me, shared their stories with me and let me be a part of their life. I know that those friendships still continue now, just in different ways. Learning stuff. I can’t restrict this to just my languages, although I’m now a lot more confident in both Burmese and Indonesian. I also learnt a lot about myself, however clichéd that may sound. In Yangon, I had a job which was not how I expected it to work out, but I loved the new challenge of a completely different work environment. It’s easy to be a strong, independent young woman in London, but I learnt how to act in an environment where that isn’t the norm. I learnt to have a voice not only for myself but for others around me. 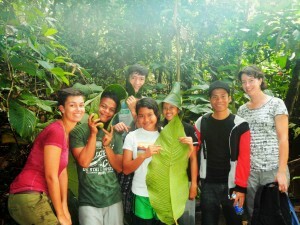 I learnt how to make friends despite language barriers. To eat without a knife and fork. To deal with various uninvited animals in my life. To relate to people whose lives are completely different to mine in every way. The power of a smile. To laugh at awkward miscommunications. To say goodbyes. To live (and ride) like a local. To understand something of what different faiths look like in different cultures. To break down stereotypes. To build a life in a new, strange place. Just saw this. What’s a nice story!